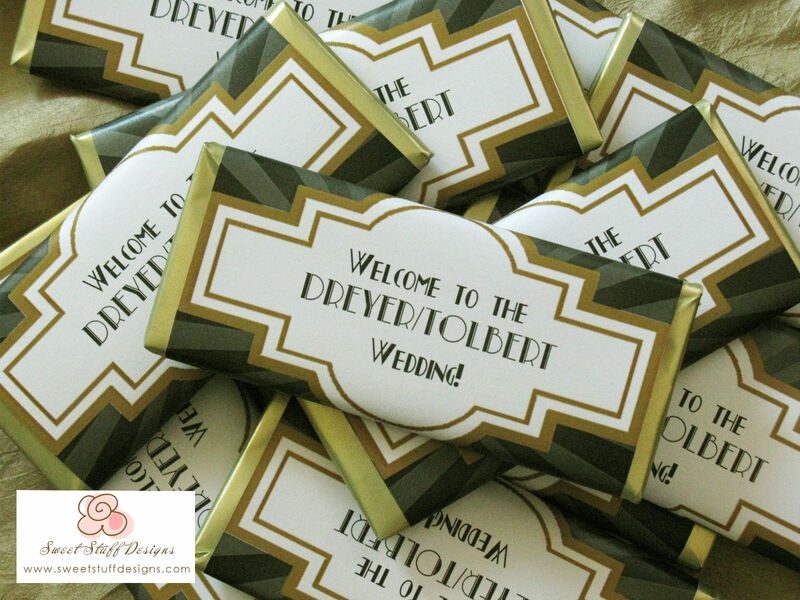 copy to be printed on wrapper; theme, color preference, etc. 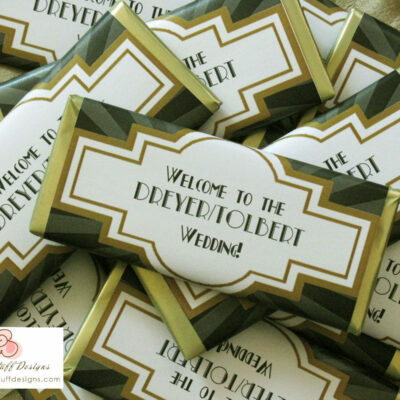 Custom wrapped chocolate bars are a great favor for your next event. 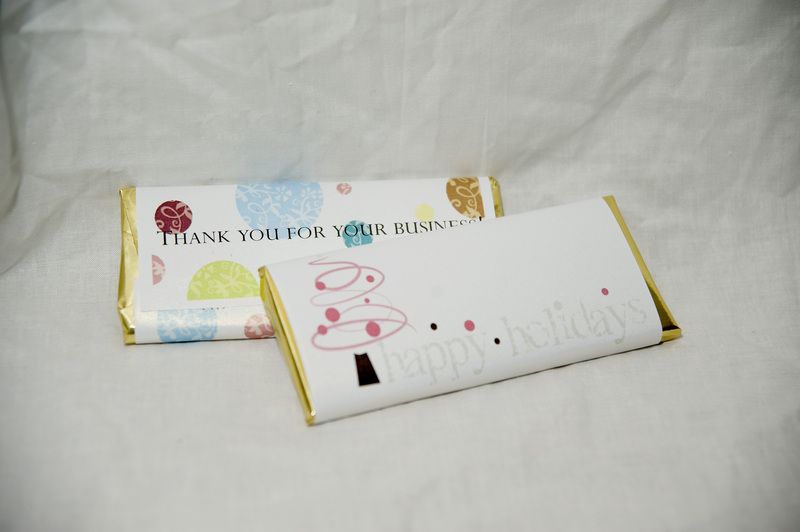 Foil wrapped handmade chocolate bars from a local chocolatier. 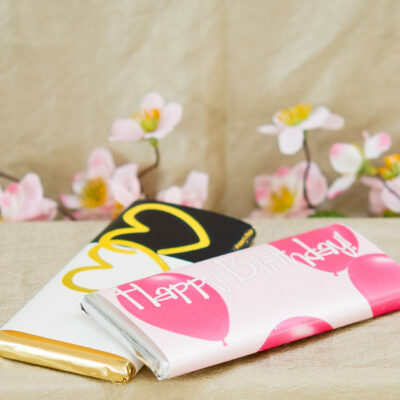 Wrapper is custom designed for your event. Please include personalization details and any theme in the text box. Proofs will be sent via email for approval. This is for the wrapper and candy bar. They come assembled. 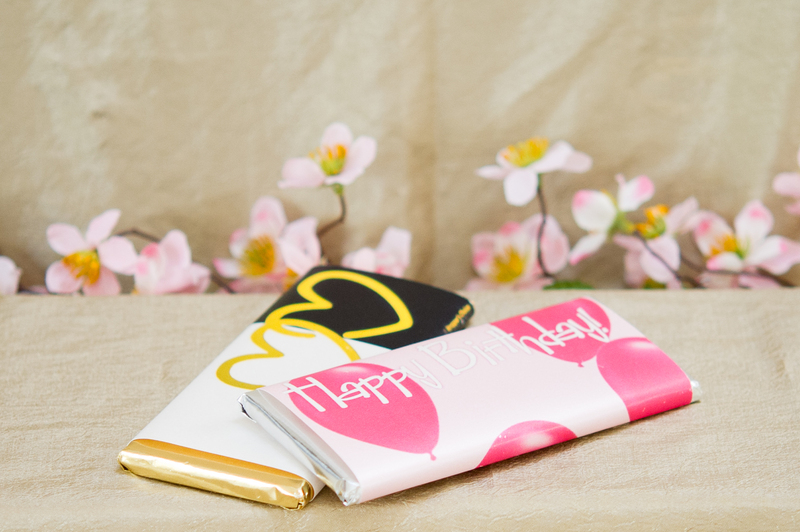 I do not sell the wrappers only. 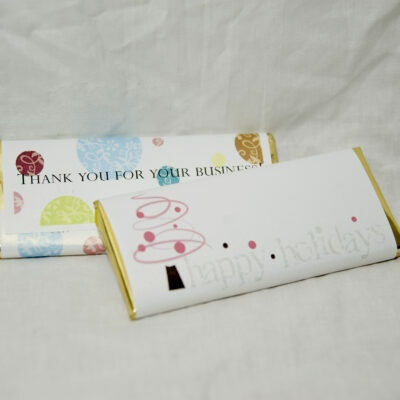 If ordering chocolate in warmer temperatures expedited shipping will be required at customer’s expense.